The post Revolution 3 iBooks preview appeared first on Transformer World 2005 - TFW2005.COM. Via Comics Alliance, we have a look at a preview of next week’s second part of IDW’s Revolution crossover event. 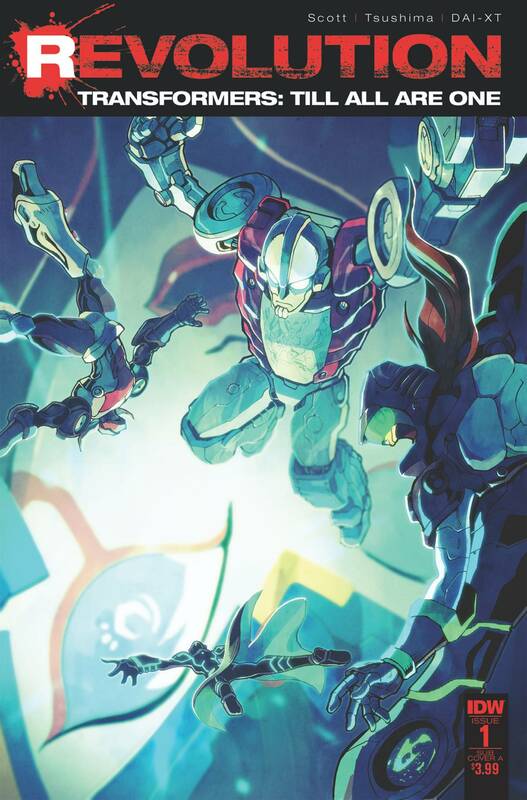 Revolution #2 sees Optimus Prime clash with Rom the Space Knight – and if that cover is anything to go by, they’ll be joined by masked crusaders, doing overtime, fighting crime! It’s the return of M-M-M-MASK! Check out the preview, and be sure to pick up the full issue when it hits comic stores this coming week. The post Revolution issue 2 full preview appeared first on Transformer World 2005 - TFW2005.COM. Via TFW2005 member BB Shockwave, we’ve got confirmation that the Titans Return Voyager Wave 1 has been released in Hungary. 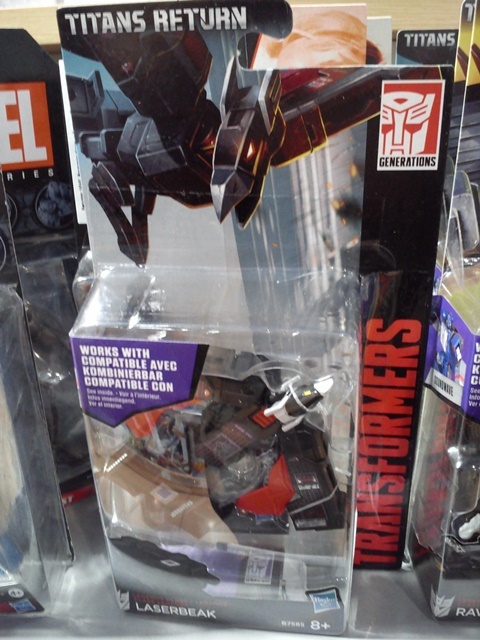 The assortment consists of Galvatron and Sentinel Prime, a pair of villains who’ve slowly been hitting retail across Europe and beyond. The pair are now in stock at Jatekshop, and there is also a report of a sighting in Campona’s Tesco. Happy hunting, one and all. The post Titans Return Voyager Wave 1 released in Hungary appeared first on Transformer World 2005 - TFW2005.COM. Our friend and sponsor Toy Dojo has sent in their latest newsletter, check it out below! __________________________ Greetings Dojo Delegates and Toy Aficionados, Kids are back in school, leaves are falling from the trees, and an army of Megatrons have come for your wallet. It must must be fall here at Toy Dojo! We are getting our bags packed to head out to TFcon Chicago in between drowning trying to get the latest Takara releases out the door. Now before you dip into that post school celebratory wine box, here is what’s schooling in the world of Toy Dojo » Continue Reading. The post Toy Dojo Newsletter September 2016 appeared first on Transformer World 2005 - TFW2005.COM. TFW2005 member Sovietbot stopped by to share with us the latest sightings of the Robots in Disguise line in Russia. He reports that the Korablik store in Russia is putting out new releases from the line previously unseen in Russia, including: Titans Return Voyager Wave 1 Sentinel Prime and Galvatron Titans Return Legends Wave 2 Rumble, Ravage, and Laserbeak Titans Return Titan Masters Wave 2 Skytread, Clobber, Apeface, and Brawn Happy hunting to all our friends in Russia! The post Titans Return Russian release update appeared first on Transformer World 2005 - TFW2005.COM. 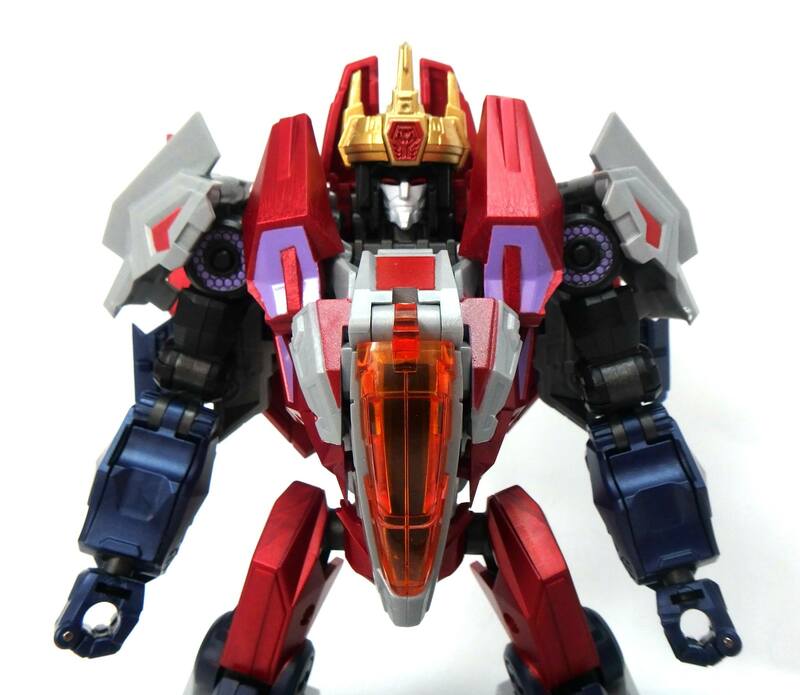 Thanks to site sponsor TFSource, Planet X, and various members of weibo and the boards, we have a plethora of awesome news featuring all sorts of upcoming third party figures! Ranging from initial announcements, to our first look at some final products, the event being held in China is giving us all kinds of third party goodness. Take the jump to check out the rundown of what’s there and who made it, as well as pics of the figures on display, and be sure to drop by the discussion threads linked below to share your thoughts and excitement! Toyworld: » Continue Reading. The post CICF 2016 – Third Party Transformers Round-Up appeared first on Transformer World 2005 - TFW2005.COM. 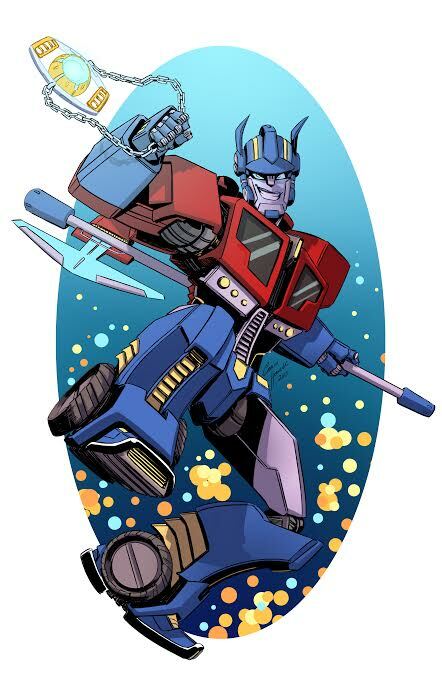 TFcon is happy to welcome Transformers comic book artist Corin Howell to TFcon Chicago 2016. Fans will recognize her work from IDW’s Windblade miniseries. She will be in attendance all weekend and offering prints and commissions to the attendees. TFcon Chicago 2016 will take place October 21-23, 2016 at the Hyatt Regency O’Hare with special guests MICHAEL BELL the voices of G1 Prowl, Sideswipe and Swoop, GREGG BERGER the voice of G1 Grimlock, GARRY CHALK the voice of Optimus Primal, RICHARD NEWMAN the voice of Rhinox, Transformers creator BOB BUDIANSKY, JON BAILEY the voice of Combiner Wars Optimus Prime, JASON MARNOCHA the voice of Combiners Wars Megatron, FRANK TODARO the voice » Continue Reading. The post Transformers Artist Corin Howell to attend TFcon Chicago 2016 appeared first on Transformer World 2005 - TFW2005.COM. TFW2005 friend and sponsor Robotkingdom has provided their weekly update. Here is the latest from Robotkingdom!! ROBOTKINGDOM.COM Newsletter #1345 1. Rogue One – A Star Wars Story Items Available NOW! 2. Titan Return Stickers Wave 2 Available on 3rd October 2016! For any customers who purchased the Hasbro Titans Return Wave 2 items with USD40 or above, will receive 1 Hasbro Exclusive Titans Return Wave 2 Sticker Per Order! https://www.facebook.com/Robotkingdom/photos/?tab=album&album_id=1276931532325559 3. Free TF Movie 3 Trading Cards for every orders and unsent Preorders! For every USD50 ordered, 4 pack of TF Movie 3 Trading card will » Continue Reading. The post ROBOTKINGDOM.COM Newsletter 1345 appeared first on Transformer World 2005 - TFW2005.COM. 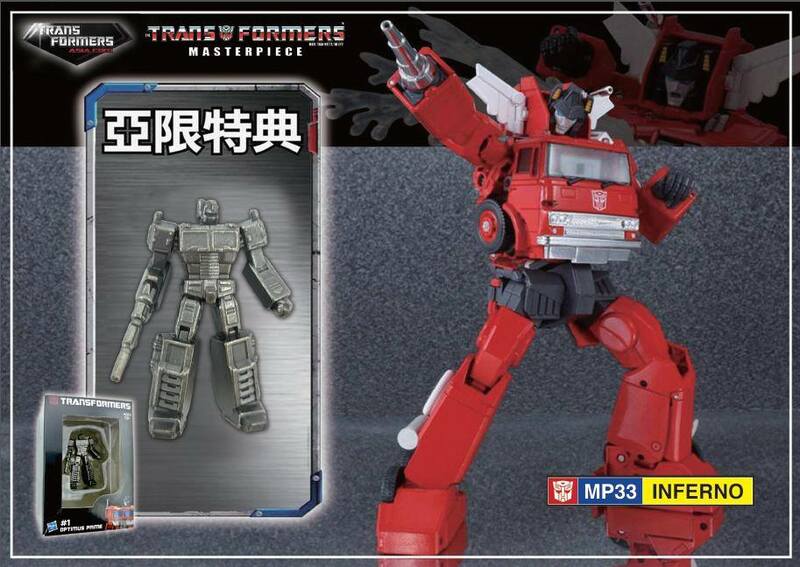 Transformers Asia have revealed that like Masterpiece Grapple, Masterpiece Inferno will be coming with a die-cast figurine when he is released in Asia. 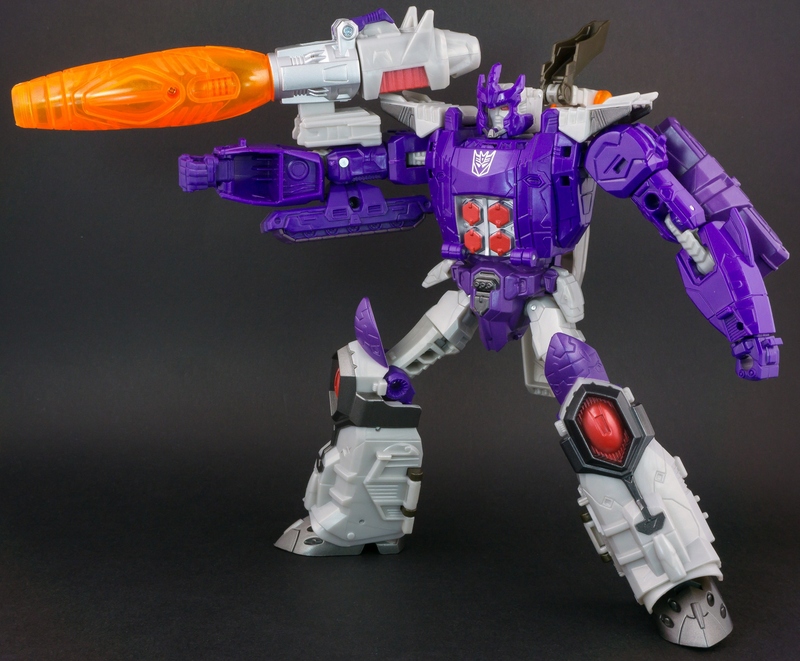 Where Grapple comes with an Ultra Magnus, Inferno is set to come with a non-transformable, unpainted die-cast figurine of Optimus Prime himself. There is an image of the box that the Optimus Prime comes in – a nice window box for display, no less. 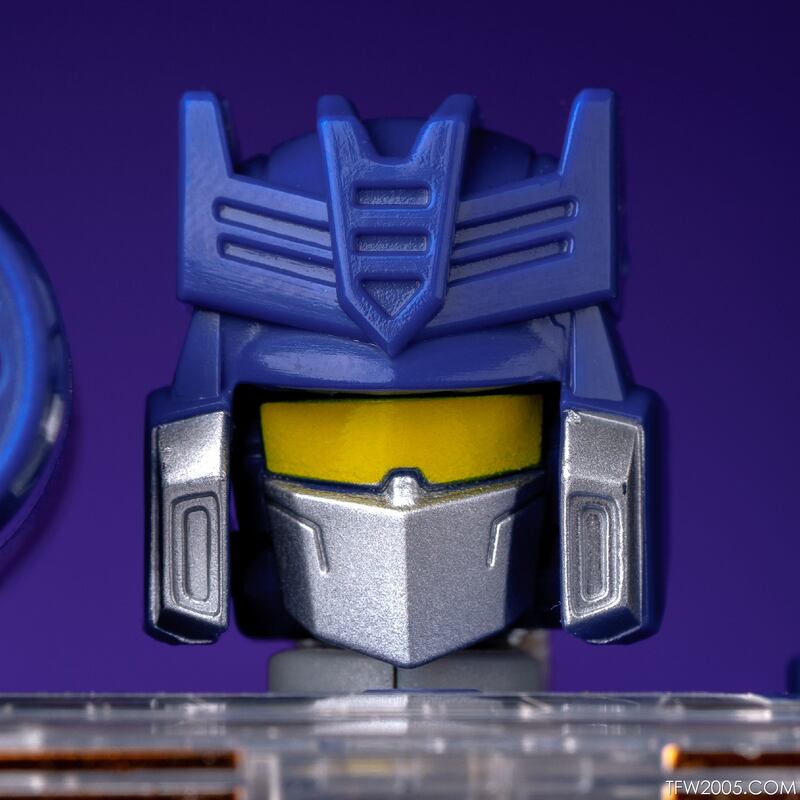 The box is labelled as #1, suggesting that this and Ultra Magnus are just the first in what will potentially be a whole series of collectible die-cast figurines being given away alongside » Continue Reading. The post Exclusive die-cast Optimus Prime to come with Masterpiece Inferno in Asia appeared first on Transformer World 2005 - TFW2005.COM. Heads up Transformers fans – Transformers Earth Wars is nominated for Game of the Year in the TIGA Awards! 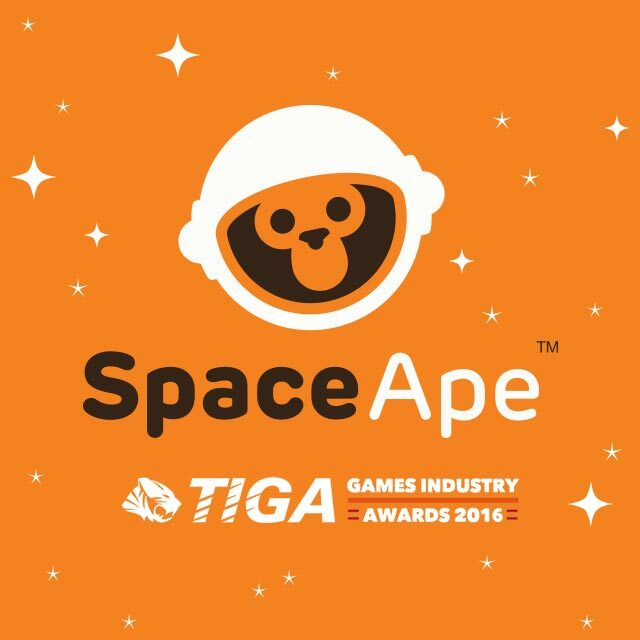 Head on over to cast your vote and help SpaceApe take home the gold! Autobots and Decepticons unite! Transformers: Earth Wars is up for the Game of the Year award at this year’s TIGA awards ceremony, Simply click this link (http://tiga.org/awards/game-of-the-year), scroll down, select Transformers: Earth Wars and click Vote Game of the Year. The post Transformers Earth Wars Nominated for TIGA Awards Game of the Year appeared first on Transformer World 2005 - TFW2005.COM. A new listing for the hardcover collection of IDW’s recent Transformers vs G.I. Joe series has popped up over at Amazon: Transformers vs G.I. Joe: The Quintessential Collection. The book is listed at $49.99 for 420 pages and set to drop in March of 2017. No cover or other details yet other than the fact it will be OVERSIZED, stay tuned. Earth makes contact with an alien race – and G.I. JOE is on the front lines! But, when the Transformers arrive – well, let’s just say you’ve never seen Transformers vs G.I. JOE like this! This oversized deluxe » Continue Reading. 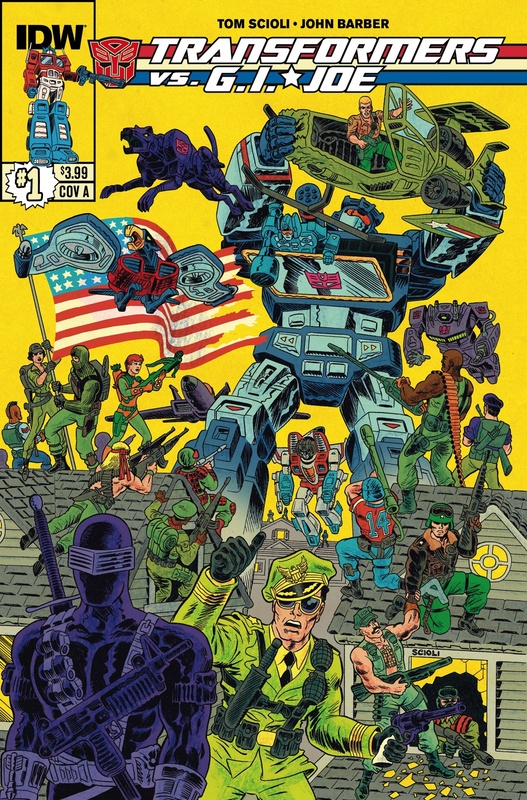 The post Transformers Vs. G.I. Joe Oversized Hardcover Listed appeared first on Transformer World 2005 - TFW2005.COM. 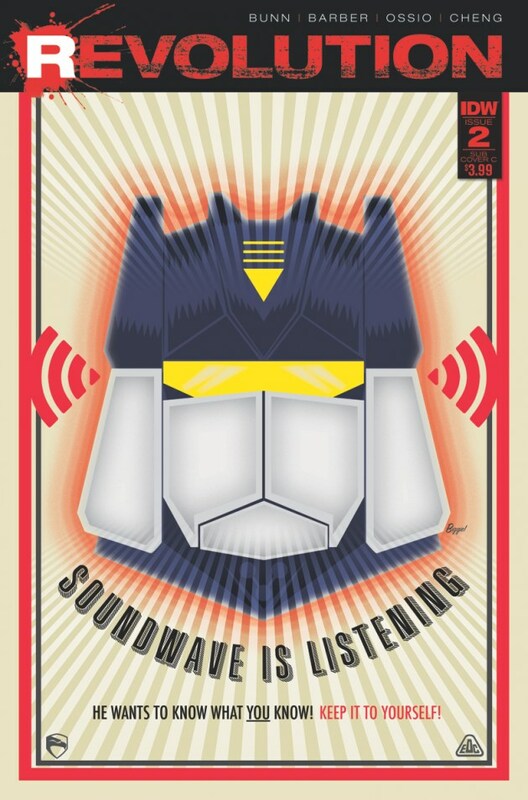 Thanks to UTF over on Cybertron.CA, Leader Class Soundwave has officially dropped in Canada. Happy hunting to our comrades up north! The post Titans Return Leader Class Soundwave Spotted in Canada appeared first on Transformer World 2005 - TFW2005.COM. Thanks to Livio Ramondelli, artist extraordinaire for IDW, we have a look at the cover to the upcoming Transformers Autocracy Trilogy. These books collect the digital first Transformers stories chronicling Optimus and Megatron’s early days. The hardcover edition is due out in December and is available for pre-order over at Amazon now. Before Optimus became a Prime he fought for order. Before Megatron became a conqueror he fought for freedom. In the early days of the war on Cybertron, two leaders–one Autobot, the other Decepticon–start down their own paths towards destiny. Collects the Autocracy, Monstrosity, and Primacy » Continue Reading. 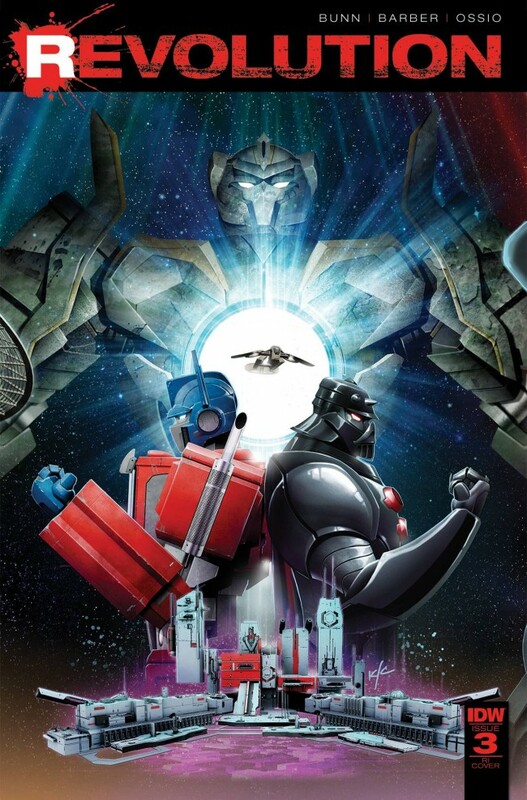 The post Transformers Autocracy Trilogy Cover Revealed appeared first on Transformer World 2005 - TFW2005.COM. 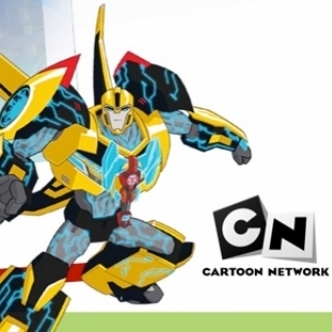 We have received a Press Release from Cartoon Network Australia and it features Season 3 of Transformers: Robots In Disguise. According to the press blurb, Season 3 (or Season 2.5 as named in Canada) will run every Saturday from 5th November to 10th December indicating a short “Season” with 6 Episodes. This info clearly falls in line with the previously confirmed info from Hasbro where a proposed 45 Episodes indicated. 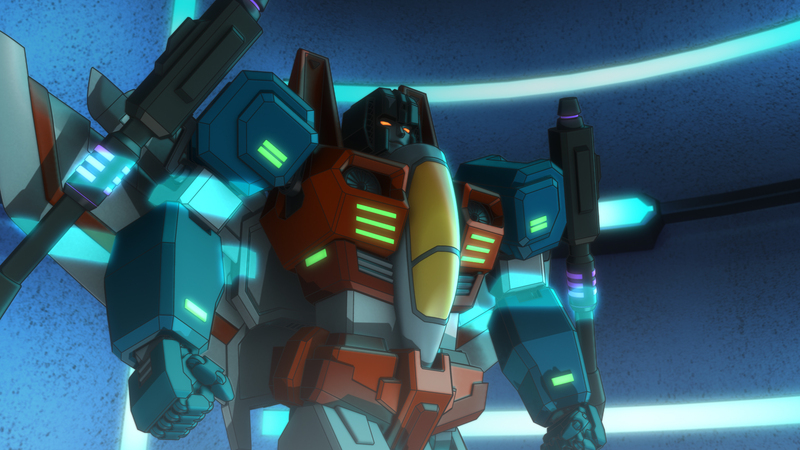 Season 1 – 26 Episodes Season 2 – 13 Episodes Season 2.5/3 – 6 Episodes However, RID Fans should be happy to note that dubbing still continues » Continue Reading. The post Transformers: Robots In Disguise Season 3 To Air This November In Australia appeared first on Transformer World 2005 - TFW2005.COM. TFcon is happy to welcome Frank Todaro to TFcon Chicago 2016. A long time Transformers fan himself, he can now be seen as Starscream in Machinima’s Transformers: Combiner Wars animated web series. Frank will be taking part in a Q&A panel and meeting with the attendees of the America’s largest fan-run Transformers convention all weekend long. TFcon Chicago 2016 will take place October 21-23, 2016 at the Hyatt Regency O’Hare with special guests MICHAEL BELL the voices of G1 Prowl, Sideswipe and Swoop, GREGG BERGER the voice of G1 Grimlock, GARRY CHALK the voice of Optimus Primal, RICHARD NEWMAN the voice of Rhinox, Transformers » Continue Reading. The post Transformers Voice Actor Frank Todaro to attend TFcon Chicago 2016 appeared first on Transformer World 2005 - TFW2005.COM. Sony will allow their Playstation Plus subscribers to download Transformers: Devastation for free on Playstation 4 all throughout the month of October. Just last month, Sony unlocked the award winning indie videogame Journey on PS4 and this is the last week to grab it before Remastered Resident Evil 4 and Transformers: Devastation hit the digital market for free on October 4th. “Next up is Transformers: Devastation. Drawing on the talents from the original Transformers TV series for the story and voice work, the game should feel pleasantly familiar to fans. Fabled developer PlatinumGames also delivers a fun and rewarding combat system » Continue Reading. 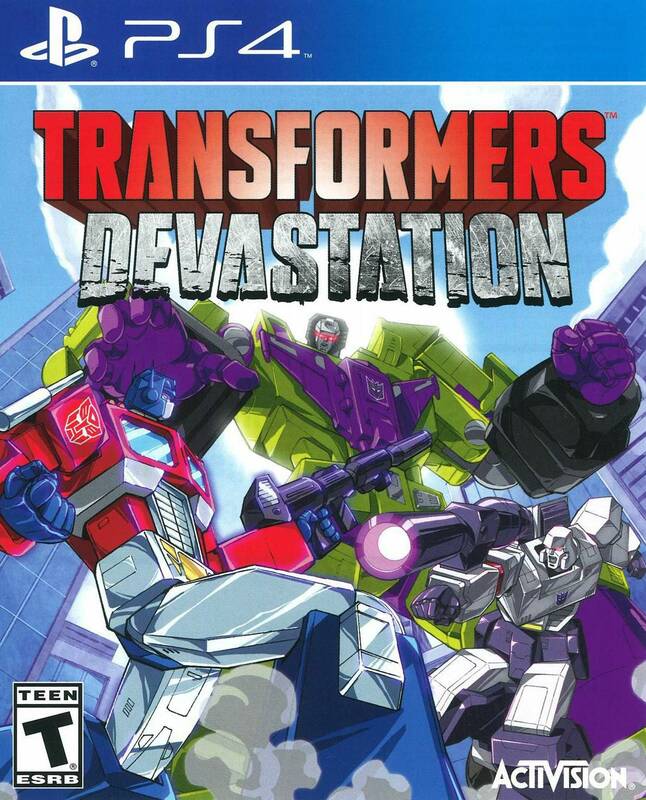 The post Transformers: Devastation Available For Free On Playstation 4 appeared first on Transformer World 2005 - TFW2005.COM. 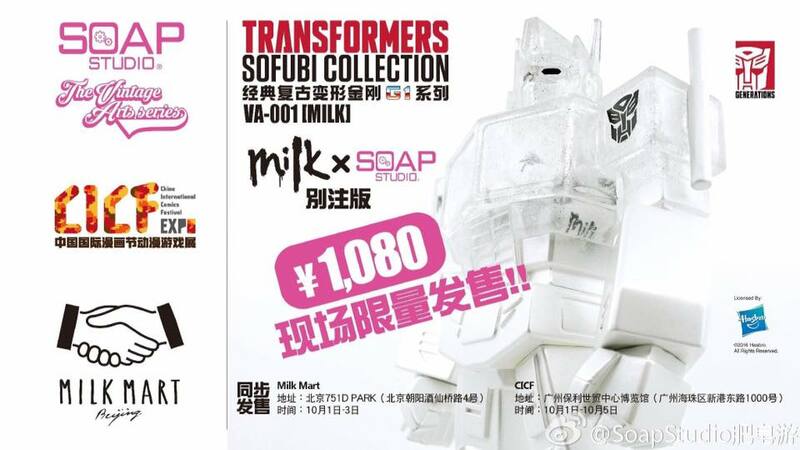 The Transformers license for collectibles continues to expand as companies Milk and Soap Studios have joined forces to create a white and clear plastic vinyl Optimus Prime figure! A bit of an oddity, but a cool one nonetheless, as this Prime features an upper body made of clear plastic and the lower half of milk white plastic, sporting black decals and eyes for contrast. As a vinyl statue, this Optimus unfortunately can’t transform. Release date and pre-orders have yet to come out, but he’s to be priced at 1,080 yen (approximately $10 USD), so he won’t be too pricey. Check » Continue Reading. The post Milk and Soap Studios – Sofubi Optimus Prime appeared first on Transformer World 2005 - TFW2005.COM. Thanks to the Facebook page of site sponsor RobotKingdom, we have news of another diecast mini-figure packaged with a Masterpiece figure. 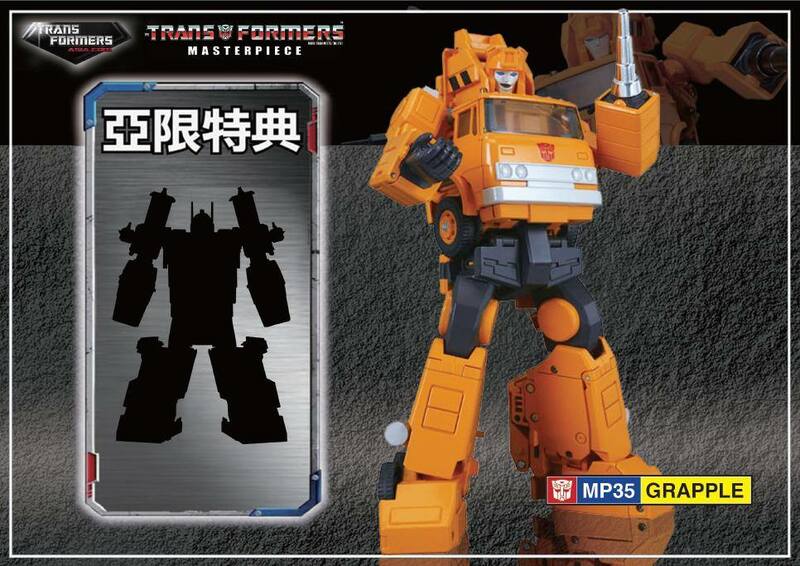 This time the figure is Ultra Magnus and will be coming with MP-35 Grapple as a Transformers Asia exclusive. Separate listings for the MP-35 + diecast Ultra Magnus are available via our sponsors up above for about $154.99 USD. The post Masterpiece Grapple – Exclusive Diecast Figure appeared first on Transformer World 2005 - TFW2005.COM. For our next gallery update, we’re bringing you a quartet of galleries – it’s a look at Wave 2 of the Titans Return Titan Masters. Here for your viewing pleasure are over 300 images showcasing all that Apeface, Brawn, Clobber, and Skytread have to offer! Wave 2 of the Titan Masters carry on what was good about the first assortment – these are small, inoffensive, fun toys which work well to supplement the larger toys, and are nice to mess with on your desk in their own right. Clobber (Grimlock) and Skytread (Flywheels) are remolds of » Continue Reading. The post Titans Return Titan Masters Wave 2 In-Hand Galleries appeared first on Transformer World 2005 - TFW2005.COM. 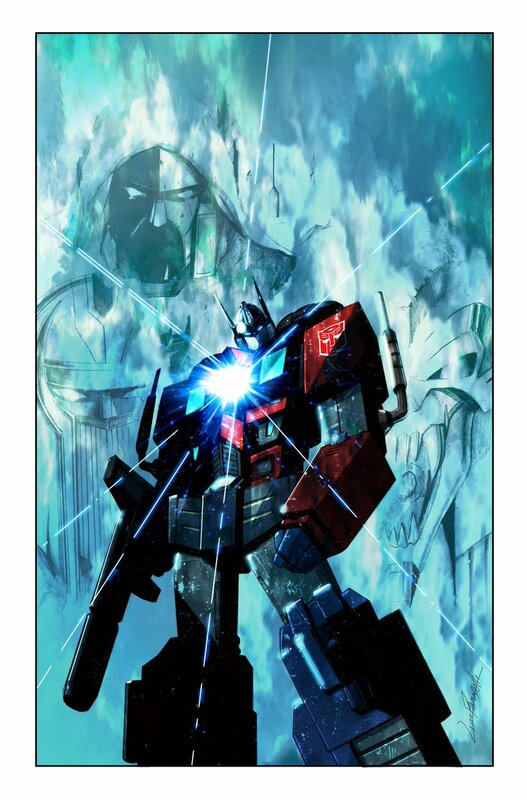 Via Previewsworld, we can share with you the subscription variant cover to Transformers: Til All Are One. As a cityspeaker, Windblade regularly interacts with the largest beings in the galaxy – the vast Titan class Transformers. But what will she do when she meets the smallest beings in the galaxy? Windblade meets the Micronauts in this subscription variant cover by Naoto Tsushima! Check it out attached to this post. The post Transformers Til All Are One Revolution Subscription Cover appeared first on Transformer World 2005 - TFW2005.COM.